Just some kudos here, I think the merchandise in this package has been the best package yet! Especially the nice Mellencamp tour themed poster! Thank you! We put a lot of thought into this package. Glad you like it! Wow the VIP merchandise sounds fantastic, cannot wait to receive it! I am going to the Cary, NC show this evening and have not yet received my VIP swag. In the past, I have always received the VIP merchandise prior to the concert so I presume it is just delayed as I know there is a chance it can arrive after the show. Do you have any updates or know who I can contact about this? I think I remember reading a post from Tony saying the merchandise started shipping around 09 June. Thanks for your help!! Can't wait for tonight's concert, so excited!! The Front Row/Diamond/VIP package items typically arrive about a week before the show, and at times the week of the show. 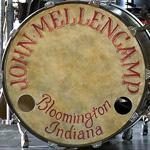 If you get close to your show and your items have not arrived please email JohnMellencampVIP@aeglive.com for an update. That is answered by AEG Live who is the tour promoter and vendor for the Diamond Ticket Packages. The items are not required to pick up your tickets/attend the show. 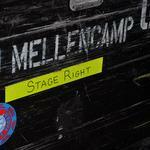 If there are any issues please keep us in the loop by email at help@mellencamp.com! Thanks so much, Tony. I just sent an email to the address you provided and hope to receive a reply soon. The concert in Cary, NC last night was epic! My husband and I had front row tickets. Concert started at 7PM with Carlene Carter opening followed by Emmylou Harris. Carlene and Emmylou were fantastic! JM followed Emmylou and provided his fans with close to a 2 hour show...simply amazing! JM and the band were in top form making this one of the best shows he has ever put on!